In New Zealand, young people are encouraged to play a prominent role in the commemoration of war. However, they find themselves in an ambivalent position. Whilst they are expected to reinforce the sanctity of war remembrance in this country, questioning New Zealand’s war record (or offering a critical alternative) is not an option. Young people are encouraged to play a significant role in the commemoration of war in New Zealand on Anzac Day (25 April). Wearing the service medals of their great-grandparents, they participate in parades, silent vigils and other commemorative rituals. By doing so, they win the approval of many who see them preserving “the burden of memory” about war so that they can “pass it onto subsequent generations.” Anzac Day is the official day of war remembrance in New Zealand. It commemorates the unsuccessful attempt by the Australian and New Zealand Army Corps (ANZAC) to invade the Gallipoli peninsula during the First World War. Today, it incorporates all the overseas conflicts in which this country has been involved. Furthermore, thousands attend ANZAC ceremonies, which are typically uncritical of the political nature of war commemoration and which ignore the contentious features of New Zealand’s war record. There is a high degree of sensitivity in the commemoration of ANZAC. It does not accommodate critical perspectives, and young people are encouraged to play their part in reinforcing the dominant narrative of how war is remembered. In Wellington this year, James Broome-Isa (aged twelve years) forcefully interrupted a TV interview with two protesters from Peace Action Wellington, who had laid a wreath in memory of civilians allegedly killed by the New Zealand Defence Force in Afghanistan in 2010. James was furious at the timing of the protestor’s action, claiming that it undermined the sanctity of Anzac Day. In itself, the fury of a twelve-year-old boy loudly confronting two protesters (who were conducting a silent protest and had permission from the organisers to do so) would have gone largely unnoticed. However, the incident generated wide coverage in New Zealand. It also featured in the Australian and British media. The question James had raised (namely whether it is appropriate to protest on Anzac Day or not) saw a radio station run an online poll the following day (according to which 67% agreed with James) and it triggered numerous editorials, debates and articles in the media which addressed this question. The Returned Services Association for veterans of the armed services agreed. National president Barry Clark said that anti-war protesters were “not welcome on Anzac Day” and that “Anzac Day is a time for remembering those who have served – our men and women – and those who are still serving.” Although the idea of a young person being manipulated for political purposes seems to be apparent to a degree, the impassioned views of this angry twelve-year-old resonated among those New Zealanders who are uncomfortable about any challenges to ANZAC and the sanctity of war remembrance in this country. These are the same views which reflect an underlying anxiety about what New Zealanders perceive to be the almost sacred or spiritual quality of ANZAC, as they regard any challenge to this as being disrespectful and inappropriate. Such views regarding this topic were not widely endorsed by the majority of commentators in editorials and columns, who supported the right to protest on Anzac Day. For example, the Dominion Post editorial was adamant about the right to protest, claiming that “people have the right to protest; even on Anzac Day” and that “the right to disagree does not take a forced vacation on our national day.” The editor went on to remind readers that some perceive Anzac Day as “a thinly-disguised apologia for war and militarism” and noted that there were major protests over New Zealand’s involvement in the Vietnam War in the 1960s and 1970s. Commentator Alison Mau wrote that protesters had the right to peacefully make their point, whether people agreed with it or not. Bill English, Prime Minister of the centre-right government, pointed out that peace protestors had a right to participate in Anzac Day commemorations and express their point of view. Ironically, English made few headlines in his national Anzac Day speech when he read an extract from the prominent pacifist Ormond Burton, who was an outspoken critic of New Zealand’s involvement in the Second World War and who was imprisoned for his beliefs. There exists an increasing unease about the uncritical commemoration of war on Anzac Day. This is due to the fact that it does not allow for the examination of both contentious features regarding New Zealand’s war record (such as the experience of conscientious objectors in both World Wars) and the realities of recent war experiences (such as recent allegations of civilian deaths in Afghanistan). Nor does it encourage any examination of the political reasons for New Zealand’s involvement in wars overseas (in either the past or present). Furthermore, there is a major imbalance in the focus on wars overseas (primarily the First World War) rather than conflicts in New Zealand between indigenous Māori and the colonial government during the nineteenth century. The uncritical and exclusive way in which ANZAC commemoration operates places young people in an ambivalent position. While they are encouraged to participate in commemorative activities, this is only through the lens of reverence. Young people are required to play their part in reinforcing the dominant ANZAC narrative. To question this (or to offer a critical alternative) is not an option. What young people make of all this is unclear. While the study of memory and war remembrance has intensified in recent years, the way in which young people engage with cultural messages concerning war is largely unexplored and builds the focus of the recently established Teaching and Learning Research network. However, a recent study demonstrated that young people were far from passive regarding the way in which they engaged with national narratives about ANZAC. Moreover, the ways in which they were able to make meaning of war remembrance in New Zealand were potentially complex, nuanced, and critical. Pennell, Catriona. “Learning Lessons from War? Inclusions and Exclusions in Teaching First World War History in English Secondary Schools.” History & Memory 28/1 (2016): 36-71. Einhaus, Ann-Marie and Pennell, Catriona. The First World War in the Classroom: Final Project Report (University of Exeter, 2014). Sheehan, Mark and Taylor, Tony. “Australia and New Zealand: ANZAC and Gallipoli in the Twenty First Century.” In The Teaching of History and the Changing Nation State: Transnational and Intranational Perspectives, edited by Robert Guyver (Bloomsbury: London, 2016): 237-254. Teaching and Learning War research network. http://teachlearnwar.exeter.ac.uk (last accessed 23 May 2017). Catriona Pennell and Mark Sheehan, “Official World War I memorial rituals could create a generation uncritical of the conflict,” The Conversation, July 12, 2016, http://theconversation.com/official-world-war-i-memorial-rituals-could-create-a-generation-uncritical-of-the-conflict-60384 (last accessed 23 May 2017). Review of Catriona Pennell’s and Mark Sheehan’s article “Official World War I memorial rituals could create a generation uncritical of the conflict,” Honest History, http://honesthistory.net.au/wp/pennell-catriona-mark-sheehan-official-world-war-i-memorial-rituals-could-create-a-generation-uncritical-of-the-conflict/ (last accessed 23 May 2017). Catriona Pennell, “Learning Lessons from War? Inclusions and Exclusions in Teaching First World War History in English Secondary Schools,” History & Memory 28/1 (2016): 36-71, p. 38. Nicky Hager and Jon Stephenson, Hit and Run: The New Zealand SAS in Afghanistan and the meaning of honour (Wellington: Potton & Burton, 2017). Brad Flahive, “Father and son clash with protesters at Wellington Anzac dawn service,” Stuff, April 25, 2017, http://www.stuff.co.nz/national/91908640/father-and-son-clash-with-protesters-at-wellington-anzac-dawn-service (last accessed 23 May 2017). Ministry of Culture and Heritage, “First World War Centenary Projects,” http://www.mch.govt.nz/what-we-do/our-projects/current/first-world-war-centenary-projects (last accessed 23 May 2017). New Zealand First, “ANZAC Day Protests,” http://www.nzfirst.org.nz/anzac_day_protests (last accessed 23 May 2017). Anna Bracewell-Worrall, “Anzac Day is our day: RSA tells protesters ‘not on our Cenotaphs’,” Newshub, April 26, 2017, http://www.newshub.co.nz/home/new-zealand/2017/04/anzac-day-is-our-day-rsa-tells-protesters-not-on-our-cenotaphs.html (last accessed 23 May 2017). “Editorial: The Right to Protest does not disappear on ANZAC day,” The Dominion Post, April 29, 2017, http://www.stuff.co.nz/dominion-post/comment/editorials/92010971/editorial-the-right-to-protest-doesnt-disappear-on-anzac-day (last accessed 23 May 2017). Alison Mau, “Anzac Day – a time for protest or quiet reflection?” Stuff, April 30, 2017, http://www.stuff.co.nz/national/politics/opinion/91959166/alison-mau-anzac-day–a-time-for-protest-or-quiet-reflection (last accessed 23 May 2017). “Bill English defends Anzac Day protests,” Newshub, April 26, 2017, http://www.newshub.co.nz/home/politics/2017/04/pm-defends-anzac-day-protests.html (last accessed 23 May 2017). Mark Sheehan, “‘A historically conscious future’ – Indigenous perspectives on war remembrance,” Public History Weekly 4 (2016) 15, DOI: dx.doi.org/10.1515/phw-2016-5998. Mark Sheehan and Martyn Davison, “‘We need to remember they died for us’: How young people in New Zealand make meaning of war remembrance and commemoration of the First World War,” London Review of Education 15/2 (January 2017): 259-271 [Forthcoming July 2017]. ANZAC Day service at the National War Memorial © New Zealand Defence Force, 25.04.2011, via Flickr. Sheehan, Mark: ANZAC and the Right to Dissentt. In: Public History Weekly 5 (2017) 21, DOI: dx.doi.org/10.1515/phw-2017-9366 . Junge Leute werden in Neuseeland dazu ermutigt, bei Kriegsgedenkfeiern eine wichtige Rolle einzunehmen. Sie befinden sich jedoch in einer ambivalenten Position: Während von ihnen erwartet wird, dass sie die Unantastbarkeit des Kriegsgedenkens dieses Landes stärken, ist das Hinterfragen der Kriegsgeschichte Neuseelands (oder das Entwickeln einer kritischen Alternative) keine Option. In Neuseeland werden junge Leute dazu ermutigt, am Anzac Day (ANZAC-Tag am 25. April) bei Kriegsgedenkfeiern eine tragende Rolle zu spielen. Während der Teilnahme an Paraden, stillen Mahnwachen und weiteren Gedenkfeiern tragen sie die Verdienstmedaillen ihrer Urgroßeltern. Viele befürworten, dass die Jugend die “Bürde der Erinnerung” an den Krieg bewahrt, um sie “an nachfolgende Generationen weiterzugeben”. Der Anzac Day ist der offizielle Kriegsgedenktag in Neuseeland. Er erinnert an den gescheiterten Versuch der neuseeländischen und australischen Truppen (ANZAC, Australian and New Zealand Army Corps), während des Ersten Weltkriegs die Halbinsel Gallipoli zu erobern. Heute wird auch allen Überseekonflikten, an denen das Land beteiligt war, gedacht. Tausende Menschen nehmen an den ANZAC-Feierlichkeiten teil, in denen die politischen Aspekte des Kriegsgedenkens außer Acht gelassen und in denen die umstrittenen Aspekte der Kriegsgeschichte Neuseelands ignoriert werden. Die ANZAC-Feierlichkeiten sind ein sehr sensibles Thema. Sie bieten keinen Raum für kritische Stellungnahmen und junge Leute werden dazu ermutigt, an diesen Feierlichkeiten aktiv teilzunehmen und dadurch das dominante Narrativ des Kriegsgedenkens zu unterstützen. Dieses Jahr unterbrach in Wellington der zwölfjährige James Broome-Isa energisch ein Fernsehinterview zweier Peace-Action-Wellington-Demonstrantinnen. Sie hatten einen Kranz in Gedenken an die in 2010 in Afghanistan getöteten ZivilistInnen, für deren Tod angeblich neuseeländische Truppen verantwortlich waren, niedergelegt. Das Timing der Aktion der Demonstrantinnen verärgerte James, denn diese hätten die Unantastbarkeit des Anzac Day gestört. An sich wäre die Verärgerung eines Zwölfjährigen, der zwei Demonstrantinnen (die mit der Genehmigung der VeranstalterInnen still protestierten) lautstark mit seinem Unmut konfrontierte, unbemerkt geblieben. Allerdings hat dieser Vorfall ein großes Medieninteresse in Neuseeland geweckt; auch die australischen und britischen Medien berichteten darüber. Die Frage, die James aufgeworfen hat – nämlich, ob es angemessen sei, am Anzac Day zu protestieren oder nicht – veranlasste einen Radiosender dazu, am nächsten Tag eine Umfrage im Internet durchzuführen (dabei stimmten 67% James zu). Außerdem hat diese Aktion eine Lawine an Leitartikeln, Debatten und medialen Beiträgen zu diesem Thema ins Rollen gebracht. Die Returned Services Association für MilitärdienstveteranInnen stimmten ebenfalls zu. Nationalpräsident Barry Clark sagte, dass protestierende KriegsgegnerInnen “am Anzac Day fehl am Platz sind” und dass der “Anzac Day ein Tag ist, an dem jenen, die gedient haben – unseren Männern und Frauen – und jenen, die gerade dienen, gedacht wird”. Obwohl es bis zu einem gewissen Grad den Anschein hat, dass eine junge Person für politische Zwecke missbraucht wird, hallten die leidenschaftlichen Ansichten dieses erzürnten Zwölfjährigen unter jenen NeuseeländerInnen nach, denen jedwede Kritik an ANZAC und an der Unantastbarkeit des Kriegsgedenkens in diesem Land unangenehm ist. Das sind die gleichen Ansichten, die auch die unterbewusste Angst jener NeuseeländerInnen widerspiegeln, die ANZAC fast heilige oder spirituelle Qualitäten zuschreiben und daher jede Kritik daran als respektlos und unangemessen ansehen. Diese Ansichten wurden von den meisten BerichterstatterInnen, die das Demonstrationsrecht am Anzac Day befürworteten, in Leitartikeln und Kolumnen weitgehend abgelehnt. Beispielsweise verteidigte der Leitartikel der Dominion Post das Demonstrationsrecht und behauptete, dass “die Menschen das Recht haben, zu protestieren, selbst am Anzac Day”, und dass “das Recht zu widersprechen selbst an unserem Nationalfeiertag seine Gültigkeit nicht verliert”. Der Redakteur erinnerte außerdem seine LeserInnen, dass manche Menschen den Anzac Day als “eine schlecht getarnte Apologie für Krieg und Militarismus” wahrnehmen würden, und er erwähnte die großen Proteste anlässlich der Beteiligung Neuseelands am Vietnamkrieg in den 1960er- und 1970er-Jahren. Die Berichterstatterin Alison Mau schrieb, dass DemonstrantInnen das Recht auf eine friedliche Meinungsäußerung hätten, egal ob andere damit einverstanden sind oder nicht. Bill English, Premierminister der Mitterechtsregierung, merkte an, dass FriedensdemonstrantInnen das Recht auf die Teilnahme an Anzac-Day-Gedenkfeiern hätten und ihre Meinung kundtun dürften. Ironischerweise sorgte English mit seiner Anzac-Day-Rede für nur wenige Schlagzeilen, als er ein Zitat vom berühmten Pazifisten Ormond Burton rezitierte, der ein entschiedener Kritiker der Beteiligung Neuseelands am Zweiten Weltkrieg war und auch für seine Überzeugungen inhaftiert wurde. Es besteht ein zunehmendes Unbehagen über das unkritische Kriegsgedenken am Anzac Day, denn weder die Untersuchung umstrittener Aspekte der neuseeländischen Kriegsgeschichte, wie die Erfahrungen von KriegsdienstverweigerInnen beider Weltkriege, noch die Reflexion aktueller Realkriegserfahrungen, wie die aktuellen Anschuldigungen zu getöteten ZivilistInnen in Afghanistan, wird geduldet. Auch die Untersuchung politischer Rechtfertigungen für die Teilnahme Neuseelands an Überseekonflikten, sei es in der Vergangenheit oder Gegenwart, ist nicht erwünscht. Außerdem besteht ein großes Ungleichgewicht: der Fokus der öffentlichen Wahrnehmung liegt auf den Überseekonflikten (vorwiegend während des Ersten Weltkriegs) und nicht etwa auf den Konflikten in Neuseeland zwischen indigenen Maori und der Kolonialregierung im neunzehnten Jahrhundert. Die unkritische und exklusive Art und Weise, in der ANZAC-Gedenkfeiern abgehalten werden, bringen junge Leute in eine ambivalente Position. Während sie zur Teilnahme an Gedenkveranstaltungen ermutigt werden, wird lediglich der Aspekt der Verehrung in Szene gesetzt. Somit werden sie aufgefordert, ihren Teil beizutragen und die bewährten ANZAC-Traditionen zu stärken. Das zu hinterfragen oder eine kritische Alternative anzubieten, ist nicht erwünscht; es ist unklar, was die Jugend zu all dem sagt. 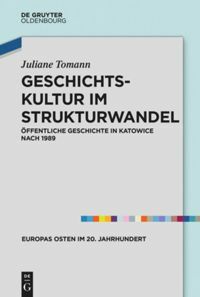 Während in den letzten Jahren die Forschung zur Erinnerungskultur und zum Kriegsgedenken intensiviert wurde, wurde die Art und Weise, wie sich junge Leute mit kulturellen Botschaften bezüglich des Krieges befassen, nahezu außer Acht gelassen. 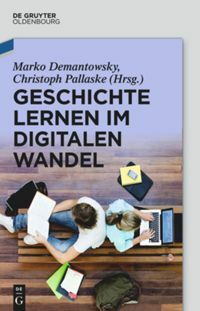 Dieser Ansatz bildet den Schwerpunkt des jüngst ins Leben gerufenen Teaching and Learning Research Network (= Forschungsnetzwerk zum Lehren und Lernen). Eine aktuelle Studie beweist jedoch, dass junge Leute alles andere als passiv in ihrer Auseinandersetzung mit nationalen Erzähltraditionen rund um ANZAC sind. Ihre Interpretationen zum Thema Kriegsgedenken in Neuseeland waren potenziell komplex, nuanciert und kritisch. Catriona Pennell: Learning Lessons from War? Inclusions and Exclusions in Teaching First World War History in English Secondary Schools. 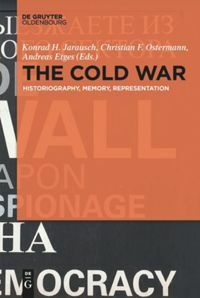 In: History & Memory 28 (2016), H.1, S. 36-71. Ann-Marie Einhaus und Catriona Pennell: The First World War in the Classroom. Final Project Report (University of Exeter, 2014). Mark Sheehan und Tony Taylor: Australia and New Zealand. ANZAC and Gallipoli in the Twenty First Century. In: Robert Guyver (Hrsg. ): The Teaching of History and the Changing Nation State. Transnational and Intranational Perspectives. London 2016, S. 237-254. Teaching and Learning War Research Network: http://teachlearnwar.exeter.ac.uk(letzter Zugriff: 23.05.2017). Catriona Pennell und Mark Sheehan: Official World War I memorial rituals could create a generation uncritical of the conflict. In: The Conversation, 12. Juli 2016, http://theconversation.com/official-world-war-i-memorial-rituals-could-create-a-generation-uncritical-of-the-conflict-60384 (letzter Zugriff: 23.05.2017). Rezension von Catriona Pennells und Mark Sheehans Artikel “Official World War I memorial rituals could create a generation uncritical of the conflict.” In: Honest History, http://honesthistory.net.au/wp/pennell-catriona-mark-sheehan-official-world-war-i-memorial-rituals-could-create-a-generation-uncritical-of-the-conflict/ (letzter Zugriff: 23.05.2017). Catriona Pennell: Learning Lessons from War? Inclusions and Exclusions in Teaching First World War History in English Secondary Schools. In: History & Memory 28/1 (2016), S. 36-71, hier S. 38. Nicky Hager und Jon Stephenson: Hit and Run. The New Zealand SAS in Afghanistan and the meaning of honour. Wellington 2017. Brad Flahive: Father and son clash with protesters at Wellington Anzac dawn service. In: Stuff vom 25. April 2017, http://www.stuff.co.nz/national/91908640/father-and-son-clash-with-protesters-at-wellington-anzac-dawn-service (letzter Zugriff: 23.05.2017). Ministry of Culture and Heritage: First World War Centenary Projects. http://www.mch.govt.nz/what-we-do/our-projects/current/first-world-war-centenary-projects (letzter Zugriff: 23.05.2017). New Zealand First: ANZAC Day Protests. http://www.nzfirst.org.nz/anzac_day_protests (letzter Zugriff: 23.05.2017). Anna Bracewell-Worrall: Anzac Day is our day – RSA tells protesters ‘not on our Cenotaphs’. In: Newshub vom 26. April 2017, http://www.newshub.co.nz/home/new-zealand/2017/04/anzac-day-is-our-day-rsa-tells-protesters-not-on-our-cenotaphs.html (letzter Zugriff: 23.05.2017). [o.A. ]: Leitartikel. The Right to Protest does not disappear on ANZAC day. In: The Dominion Post vom 29. April 2017, http://www.stuff.co.nz/dominion-post/comment/editorials/92010971/editorial-the-right-to-protest-doesnt-disappear-on-anzac-day (letzter Zugriff: 23.05.2017). Alison Mau: Anzac Day – a time for protest or quiet reflection? In: Stuff vom 30. April 2017, http://www.stuff.co.nz/national/politics/opinion/91959166/alison-mau-anzac-day–a-time-for-protest-or-quiet-reflection (letzter Zugriff: 23.05.2017). [o.A. ]: Bill English defends Anzac Day protests. In: Newshub vom 26. April 2017, http://www.newshub.co.nz/home/politics/2017/04/pm-defends-anzac-day-protests.html (letzter Zugriff: 23.05.2017). Mark Sheehan: “Eine historisch bewusste Zukunft” – Indigene Perspektiven auf Kriegsgedenken. In: Public History Weekly 4 (2016) 15. DOI: dx.doi.org/10.1515/phw -2016-5998. Mark Sheehan und Martyn Davison: “We need to remember they died for us.” How young people in New Zealand make meaning of war remembrance and commemoration of the First World War. London Review of Education 15/2 (Januar 2017), S. 259-271 [erscheint Juli 2017]. Sheehan, Mark: ANZAC und das (Un)Recht zu widersprechen. In: Public History Weekly 5 (2017) 21, DOI: dx.doi.org/10.1515/phw-2017-9366. I think it is the protestors more than those such as Mr Broome-Isa that are ‘politicising’ Anzac Day. The day has had a pretty unchanging purpose over the years of remembering the sacrifices of the armed forces. There are elements of gratitude for their participation in war on behalf of the nation (whether for right or wrong). In my experience, the recognition of the general horror of war and hope for peace in the future is pretty clearly part of most services also. The changes over time generally are in participation rates, which anecdotally seem to have increased considerably over the past decade or so. In remembering loss and grief there are some generally accepted social mores about showing respect and providing space. Those who gnash their teeth over wanting a good old political debate at Anzac Day services don’t seem to me to be interested in serious debate (there is ample opportunity for that any day of the year, indeed even on Anzac Day at other locations). I suspect they are simply interested in publicity and causing controversy. Turning up at an Anzac Day service to protest against war generally, or alleged war crimes by New Zealand soldiers, is unnecessary and tasteless. It isn’t about being uncritical – in fact, the more awareness and debate about our past the better. However, there is a time and a place. An occasion of commemoration and grief is not that place, in the same way as turning up inside the church at a controversial politician’s death to protest in front of their family is insensitive and unnecessary. While no one would support violently expelling protesters there isn’t any cause for concern over the commemoration of Anzac Day. There are currently no signs that it is turning into an event where jingoism and the glorification of war replace respectful contemplation, grief, gratitude and remembrance. More familiar with the Australian than NZ context, the following may be only marginally relevant. However, there has been similar discussion in Australia for some time and I have always been concerned that the polarised positions do not reflect a complex reality and demonstrate a limited grasp of what goes on in school history classes here. For example, the view that Australian school history has been ‘militarised’ seems to have gained uncritical acceptance in academic circles on the basis of little evidence. Exactly how school history was ‘militarised’ has not been explained. Were school history teachers complicit, compliant or irrelevant? The reality is that at school level the Anzac Legend offers a great opportunity to deal with perspective, interpretation and revision. In my experience, that opportunity is taken up by teachers. Similarly, my own experience of marking Simpson Prize essays or listening to students reflect on their visits to Gallipoli suggests that they have been instilled with anything but a reverential attitude towards Anzac. The danger may lay in the other direction, with their ‘critical understanding’ being based largely on criticism of traditional views and taking little account of anything between simplified pro and anti positions (perhaps this models public discourse in general). In any case, if the Australian government’s over-commemoration of Anzac is aimed at bolstering unthinking reverence for Anzac, I’d suggest that this intention is being confounded within schools. I think that there is a large element of created nostalgia and created collective memories surrounding ANZAC day. Generation X and some of the oldest Millennials see ANZAC day through the point of reference of their old or dead grandparents. The people who see war through their grandparents, did not see the direct physical and pyschological suffering that happened to those that came home alive but broken. The younger Millennials and Generation Z are yet another generation removed from the realities of war and so are more easily lulled into the collective memories surrounding ANZAC day. I think that ANZAC day is not questioned by many young people (and by some not so young) because of the strength of the collective memory about ANZAC day and the way it has been used to shape New Zealand identity. More than the Treaty of Waitangi, the anti-nuclear movement or the Spring-box tour protests, ANZAC is seen as the moment when New Zealand identity was forged. The idea that New Zealand identity was born on a battle field on the other side of the world, is propaganda that has been fed to successive generations to create a national identity, free from problematic historical events which could cause guilt in the majority (Land Wars, Land courts, Bastion point protests and many other events). I think that young people who view ANZAC day as a defining moment for our nation are unlikely to question the accuracy of the collective memories unless they have been taught to think critically.